The thing about art is that one never knows when or where the inspiration will hit. For example, Pablo Picasso could reportedly draw before he could talk. At the other end of the spectrum, Grandma Moses started in her late 70's after retiring from farming. For Victoria Mayol, whose show/exhibit "Contemporary Visions" opens December 7 at the Dabbert Gallery in Sarasota, her breakthrough moment came as a teenager. "I started around 15 years old in Argentina," said Mayol. "I loved painting humans and was a really good copier. I copied everything there was without the benefit of any classes. We didn't have much money, but my mother showed my work to a professor and she let me go to art school there for free." With that added boost, Mayol attended the Gillermo Roux Academy from 2004-07 and over the next few years, studied abstract classes, watercolor techniques and other creative processes with several other Argentinian artists. However, it didn't take long for her massive talent to shine through. "One day, we did an auction in class, which was full of wealthy people," said Mayol. "They bought three of my drawings. We framed them and then started participating in art fairs. In the first art fair, I put my paintings on the wall. I was really expressive and I sold 6 the first day and 30 during the week. When I got bored, I asked people if they wanted to model, so I started painting them live. And people started buying what I was painting in the moment - I had no rules." And Mayol will be reprising that element during "Contemporary Visions." She'll do some live painting at the show and her exhibit will run at the Dabbert Gallery (where she's already a featured artist) through December 28. "I'm really excited with how the works are going. I try to paint the women or autobiographical the way I feel them. And the flowers started appearing in my work after I had children. Plus, I'm working on a series of (18) small paintings. It's a little bit of my last styles from about three years ago." 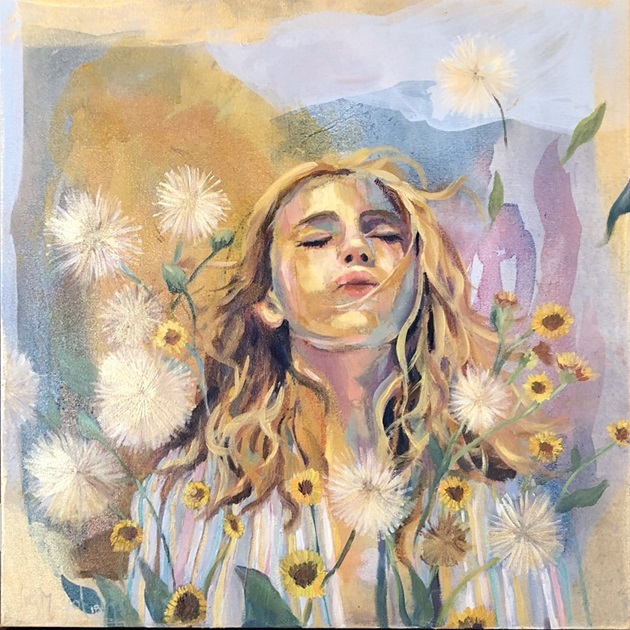 Victoria Mayol's show "Contemporary Visions" opens with the artists' reception Friday, December 7 from 6-8:30 p.m. at the Dabbert Gallery, 46 S. Palm Ave. Sarasota, FL 34236 (941) 955-1315. The exhibit runs through December 28. 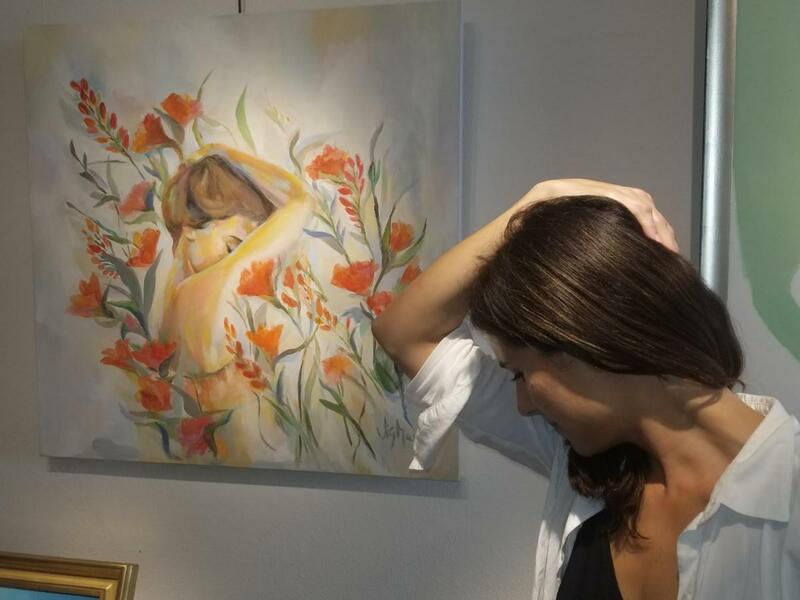 It's a great way to enjoy one of the art galleries in Sarasota, with a beautiful exhibit! For more business news in Sarasota, connect with 941area, we're your free guide to the city!